Canada’s third sector–the vital web of non-profit, charitable and voluntary organizations that provide programs and services, and knit together communities–is also a significant economic force. In recent years, governments have increasingly relied on non-profit groups as the delivery agent of choice for government services. 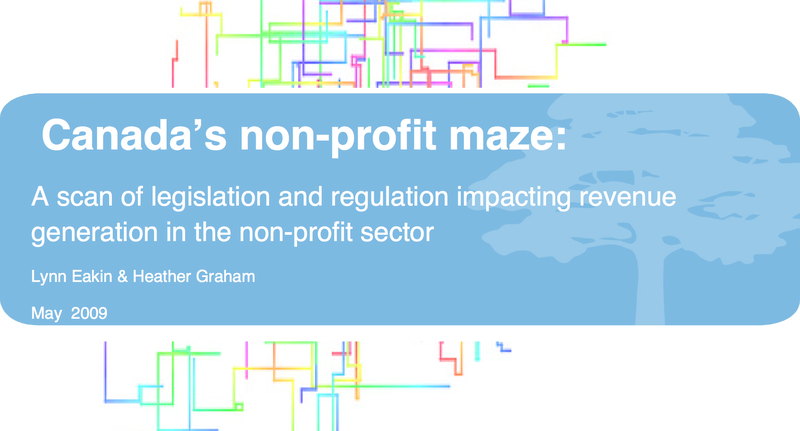 “Canada’s Non-Profit Maze” is powerful new research by Lynn Eakin and Associates, commissioned by the Wellesley Institute that provides a troubling picture of the financial and regulatory burdens facing the third sector. Our latest third sector analysis also includes an accompanying policy brief, and an appendix of supporting tables.